Bugs really do make the world go around. Right this minute, they are busy pollinating, decomposing and feeding the next link in the food chain. In honor of the EtsyBeadweavers Insect challenge, this week’s Poster Sketch collection features some of the early entries, as well as some gorgeous insect inspired bead art. To get a close-up view of these critters and the designers, visit Spring is for the Bugs. 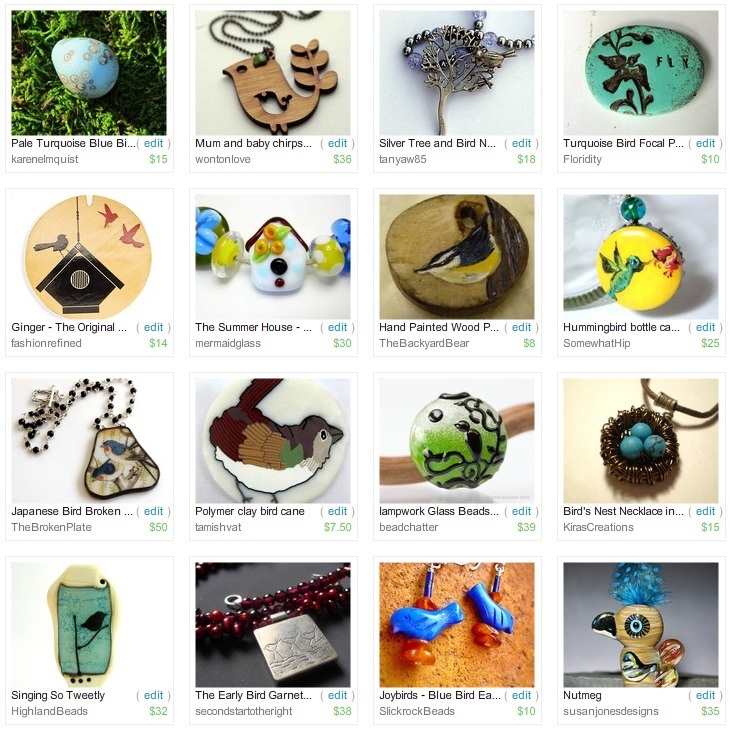 “Embedded Colors in the World of Insects” is the May theme in the Etsy BeadWeavers challenge. Team member Isabella asked participants to create a piece that represents tiny insects in their vast environments. There are many beautiful and interesting bugs that could inspire beadwork, and I considered many of my favorites, such as the scarab beetle. In the end, I decided to challenge myself and select one of the more common insects for my entry. 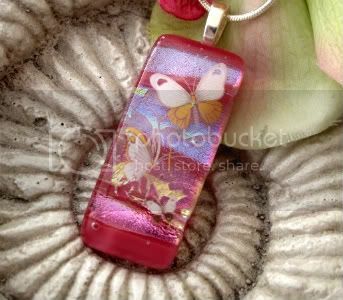 The ladybug is a favorite because it is so cute, with it’s pretty wings and round body. They are also treasured among gardeners, because they eat smaller, unwanted pests. Luring and encouraging ladybugs is an important part of organic gardening. 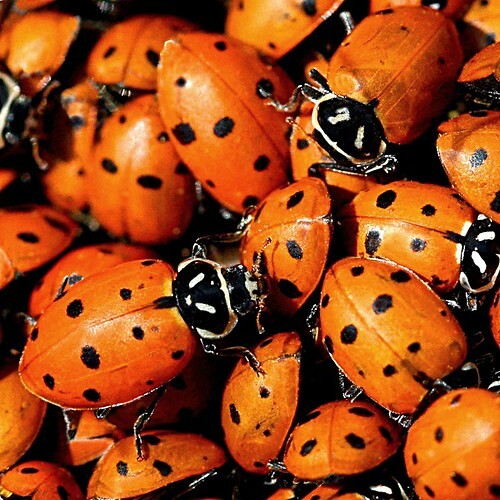 Usually, ladybugs are depicted with bright, cherry red wings and perfectly round spots. In nature, most ladybugs have a tomato-like coloring, ranging from under ripe yellows, to deep summer reds. Their markings are far from uniform, with many interesting shapes in black and white. I wanted to create a piece that would include all of the colors of ladybugs in nature, while avoiding the classic round shape of a cartoon beetle. I started by creating two bead soups. 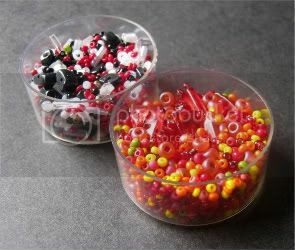 The first contained assorted seed beads and accents in black, white and crimson. I combined two pre-made black and white mixtures with other beads from my stash until it looked just right. The second bead soup contained oranges, yellows, and natural reds. There were a few green seed beads in the mix, which I would have to ignore, though I did end up using many of them as stop beads. I considered many free form beadwork designs before finally deciding on double spiral, which would allow me to showcase the ladybug palettes evenly. I can only assume that the two color mixtures have the desired effect, because at one point my husband asked why I was making a cluster of ladybugs. I increased the spiral rows gradually as I stitched, and at random. When it came time to start decreasing, I started to wish I had used some sort of system to count increases, but I was able to make the second half of the rope fairly even with the first. I finished it off with a few black druks - like bugs on a log - and a button clasp. The Etsy BeadWeavers “Insects” Challenge opens May 9th. Visitors can vote for their favorite entry until May 15th. 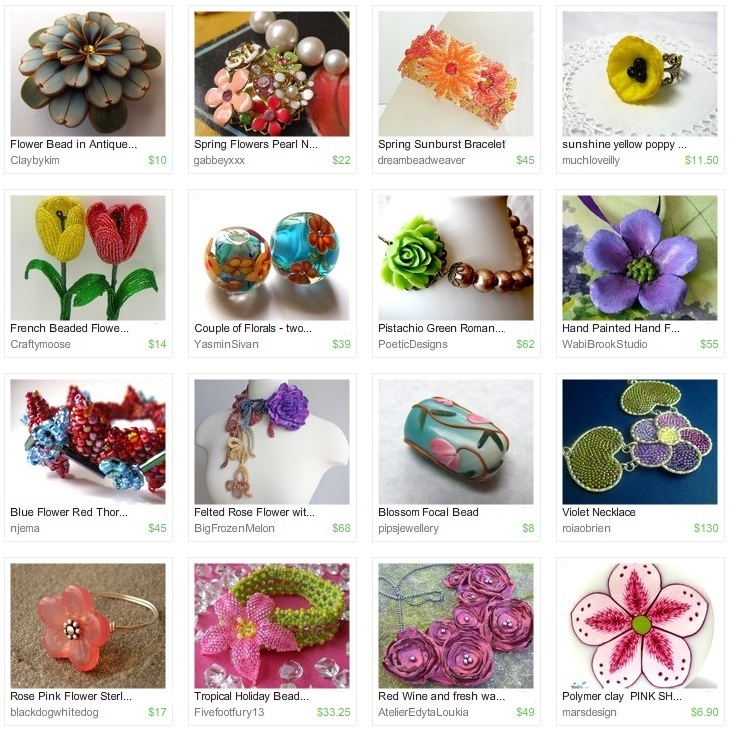 Stop by the EBW Team blog to see all of the amazing beadwork creations. 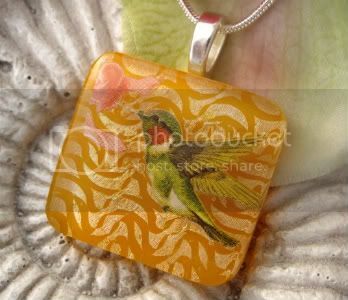 Imagine being able to take your favorite image and turn it into a beautiful glass pendant. The design possibilities would be endless, and you’d never be at a loss for unique and stunning focals for your jewelry. There are a few lucky artists out there who can do just that, and their work is the envy of many a beader. 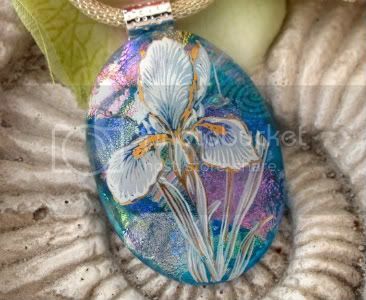 Cindy Valenzo creates some of the most breathtaking fused glass pendants and cabochons, depicting everything from flowers and birds to colorful abstract patterns. Her pieces have a museum quality look that would add a Wow factor to any design - assuming that you don’t become too attached to use them. 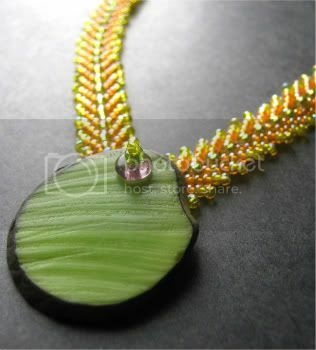 Inspirational Beading: How did you become interested in working with glass? Cindy: I have always been intrigued by glass but the art form started with stained glass windows that I wanted to make for my kitchen cabinets. It then progressed to lamps and foyer transom and side light windows. I did private commissions for several years and then became interested in fusing to do insets for the stained glass and eventually wanted to do tiles. The scraps became my sources for jewelry. Pretty soon I gave up most of my stained glass commissions and concentrated on jewelry and accessories. Cindy: Color. Anything with bright and lush color will attract my eye and then the imagination takes over. 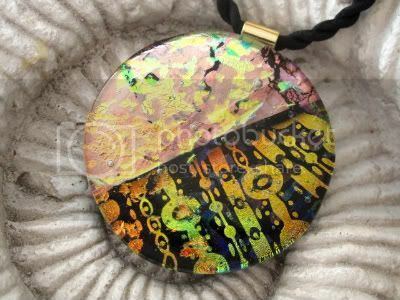 It can be very frustrating because there are certain colors in Dichroic glass that are hard to achieve. Clothing, flowers or anything in nature can be the spring board for a new adventure. Sometimes it’s mistakes that launch the newest idea. Inspirational Beading: Do you have a favorite color to use? Cindy: The blues and greens are the most popular colors in fused glass but I like to work with reds and earth tones such as copper and rust. These are the hardest colors to work with and achieve, so when it turns out right it’s quite a joy! I love to layer and bring out new shades and effects that attract the eye and make people say “Wow! How did you do that?”. The best surprise is when I get a client’s positive response. Inspirational Beading: If you could master any new technique or craft, what would it be? Cindy: I would love to be able to paint on glass with a brush so that the colors could be blended and permanent. The medium, enamels, aren’t dense enough and fluid enough to achieve the results I want. There are many paints available but they either don’t blend or become flat. 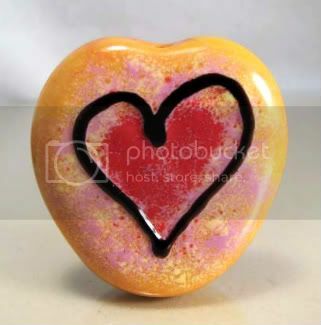 I would love to be able to carve a piece by sandblasting and then fill it with color and fuse it. But once you fuse it becomes flat and mottled so I guess that’s the next challenge. 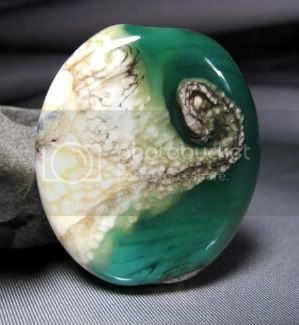 I am awed by the blending and manipulating of colors with polymer clay and would love to bring that dimension to glass in fusing. Cindy: I am also awed by the jewelry designer that can take one of my cabs or pendants and incorporate it into a masterpiece. I am always amazed at what others can do with my pieces. I dabble in it a bit myself but don’t have the time to devote to the assembly process. I would hope that my creations are their springboard for fabulous designs. Cindy Valenzo began her artistic journey at a very young age, starting with sewing projects for the 4H club. After working as a Corporate Credit Manager for 25 years, she turned her attention to the craft community, and opened her own store and public studio. Two years later, she returned to her home studio to focus on her glasswork. Cindy is a member of the Creative Glass Guild of Etsy, and the Glassanarchy group. You can see more of Cindy’s beautiful designs in her Etsy shop CCValenzo. For every person that makes caring for the Earth a part of their daily routine, there is another person who just doesn’t see the point. Most of us know one of each - the fanatic and the apathetic. I’m proud to be of the fanatic variety, and I’m constantly alienating myself with my no-tolerance attitudes toward pollution and wasteful living. I can’t watch television without yelling, because I can’t understand how the censors can allow green-washing in so many advertisements. How much plastic am I throwing out every week? Do I really need to eat imported produce? Am I recycling everything that I can? Am I pouring anything down the drain that I wouldn’t want to soak my fish dinner in? If I had a choice, is this the kind of environment I’d want to give to my children? In honor of Earth Day, I have collected some Etsy favorites that can remind even the most cynical person what a beautiful world we’re messing up. This week, I’m trying out the new Treasury East tool. 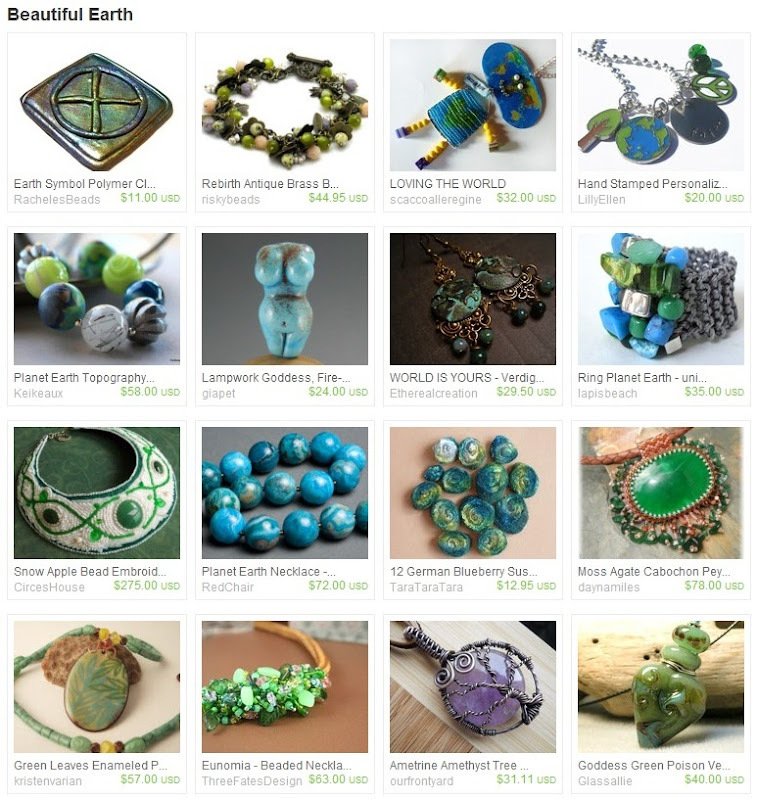 To see the entire collection and the artists, visit the Beautiful Earth Treasury List. Cindy Caraway of Artful Living on the Bluff has invited her readers to play along in the 6th Photo Game with her. The fun begins when you search through your earliest blog posts and find the sixth photo that you ever uploaded to share with your readers. The next task is to critique your own photo, and explain what you would do differently, then pass on the challenge to ten bloggers. When I saw Cindy’s sixth photo in my blog reader, I wouldn’t have guessed that it was an archived picture. It looks great! I knew even before I started searching through my first posts that I would not be so lucky. I was prepared to cringe. I didn’t have to go far to find my first 6 images. My second post ever was in August of 2008. 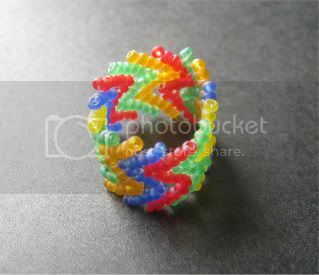 It was about a multicolored peyote stitch rope, and contains my 5th, 6th and 7th photos. They’re all terrible! I thought about cheating and sharing the 7th photo, since it’s by far the worst one of the bunch. You’re welcome to check it out for yourself, but beware! 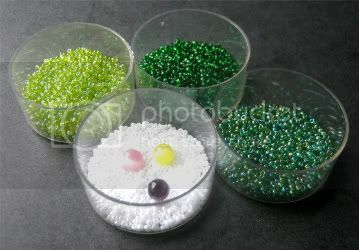 The actual 6th photo is a shot of the beads I used to create the necklace. Until around March of 2009, I always photographed beads for my inspiration stories in a shallow metal dish that is actually a gourmet coffee coaster. I much prefer the four little beads cups that I use today - especially because I don’t have to sort the beads after photographing them. I only wish I had more of them. This photo was probably taken on my kitchen table, with a 60 watt bulb glaring overhead. If there’s any natural light present, it’s minimal. The glare and the yellowish tinge to everything is my least favorite thing about it. Today, I wouldn’t dream of taking a photograph under anything but sunlight. I also over cropped this photo, since you can barely see what it is. 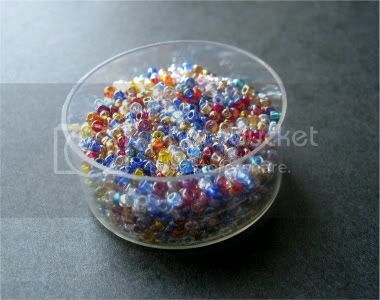 If there weren’t a bead story to go with it, once could mistake it for colored sand, or crayon shavings! I just happen to have a few of these beads still in my stash, so I rephotographed them. I think today’s version is world’s better, but I still have much to learn about the art of photography. Is it a coincidence that Earth Day falls during one of the greenest months of the year? What better time is there to think about our responsibilities to the planet? One look around is all it takes to see the wonderful gifts that nature provides - fluttering butterflies, singing birds, colorful flowers and lush, green plants. I wanted to create a bracelet with a bright but simple spring theme, using green as a main focus. I decided to go back to an old design, and use the same technique behind my Mermaid Path bracelet. By using many shades of green with herringbone weave, I could create a base for some simple flowers, with pretty bead waves adding personality to the uncomplicated palette. I started with 11/0 seed beads in transparent emerald, transparent rainbow lime green, and transparent rainbow medium green. I really love the shimmer of the transparent rainbow finish, and it adds a dew-like quality that’s just perfect for a spring flower patch. 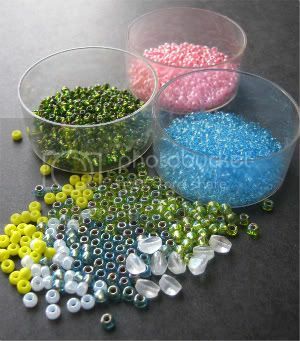 Then I selected some 6mm round beads for my flower centers - cats eyes in pink, yellow and purple. For petals, I grabbed some white luster 15/0 seed beads. I started by creating a handful of beaded flower beads, using leaf fringe and brick stitch to shape the white petals. Once I had a bunch, I used the green seed beads to make the herringbone base. Because the flowers are so large, it’s hard to see the wavy shape created by the herringbone increases. I had been looking forward to the swirling appearance, but now I think that flat rows of green are a better background for a patch of colorful daisies. I would like to thank Artbeads.com for providing the TOHO™ seed beads used in this piece. Inspirational Beading has not received paid compensation for including Artbeads.com products or reviews in this blog post. I have shared my honest opinions about the products used in this design. How many times have you had an amazing idea for a piece of beadwork, and had no idea where to get the focal bead necessary to create it? It happens to all of us from time to time, which is why the handmade marketplace is such a great tool for designers. 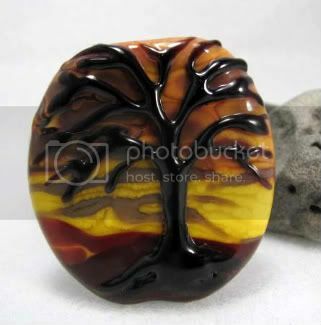 Artists that create beads provide us with so many inspirations that the big manufacturers just can’t deliver. Ema Kilroy’s lampwork beads are the perfect cure for beader’s block. Each one is a work of art, just crying out to be balanced with the right accents. I stumbled across her shop, Ema K Designs, while on the hunt for fun spring inspirations, and was not disappointed! Inspirational Beading: How did you become interested in bead making? 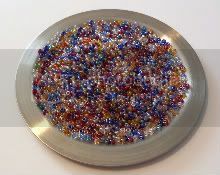 Ema: I began making glass beads when my youngest child began school full time. I had been making jewelry for a number of years and decided it was time for me to explore a new direction in my work. My starting point was hearts. I have always loved to use hearts in my jewelry but I had trouble finding hearts which fulfilled the jewelry designs I wanted to create. I decided that if I took lampworking classes I could make my own hearts. What a wonderful adventure lampworking has become for me. I had no idea it would lead me in this direction and to all the wonderful people I have come to know. Ema: My inspiration can come from anywhere. I have a background in quilting. During a conversation with one of my quilting friends she made a matter of fact comment as to how she can look anywhere and be inspired to create a quilt. At that moment it occurred to me that this did not hold true for me and although I enjoyed quilting I knew I had not found my passion. I can now say I fully understand my friend's matter of fact comment. I can literally find inspiration for beads everywhere I look; a magazine, a printed advertisement, a TV show, quilt fabric, nature is a never ending source of inspiration, and the list can go on and on. I have found my passion. Ema: My favorite color is blue. It has been since I was a little girl. I have to stop myself from using blue all the time but generally I create beads by going with my own flow, unless it is a custom order. Inspirational Beading: If you could master any new technique, what would it be? Ema: I am working on creating a smoothness and flow within my beads. I currently use a soft glass referred to as soda lime glass. I think in order to generate the smoothness I am trying to achieve I may have to try a different type of glass, boroscillate. I have never used this type of glass but would love to give it a try. Hot glass is unlike other art mediums, such as paint - it reacts differently than we are used to seeing. You can't just combine yellow and blue to make green, well not always anyway. Glass is a different medium and various types of glass, when combined together, can react in ways that are not always predictable. This can also be a very exciting part of the lampworking process. Ema: First and foremost I hope to inspire jewelry designers. 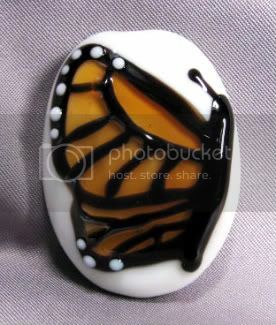 When I create a bead I often see how it will accent a finished jewelry piece. I don't always have time to create the finished jewelry but I hope other jewelry designers will find similar inspiration from my beads. I also hope to inspire children, especially girls. I think the process of lampworking is really cool. I work with a torch, propane, oxygen, a 1200 degree flame and hot molten glass. I can do anything I want to do. I want girls to know they can too. Ema Kilroy is a glass artist living in Central Massachusetts with her husband, three boys and her favorite female companion, her dog. Ema began lampworking in 2005, taking classes with Liliana Glenn at Worcester Center for Crafts. After learning the basics and setting up her custom workshop, Ema began developing her own style and designs as a self-taught beadmaker. 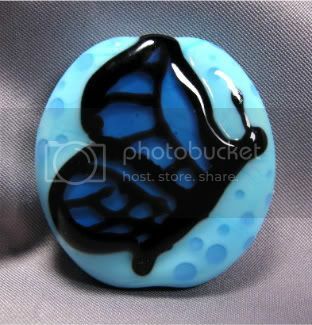 For 2010, Ema has been working on fun Spring themed butterfly beads and some especially popular OM beads. Ema sells her work in the form of beads and finished jewelry. She can be found at local craft fairs in and around Massachusetts, a schedule of which is available on her website, EmaKDesigns.com. Additionally, Ema's pieces can be purchased online from her Etsy shop, Ema K Designs, and followers can become a fan on her Facebook page. Ema belongs to the International Society of Glass Beadmakers (ISGB), and is an Associate member of Rollstone Studios in Fitchburg, MA. 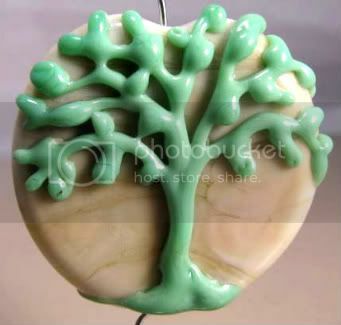 She also participates in an online community of glass bead artists who strive to support each other in the development and marketing of their art: The Fire Divas. Spring is a time of flowers, not only because gardens and wild patches everywhere are blooming, but also because there are so many flower-friendly holidays. Valentine’s Day, Easter, and Mother’s Day are often considered an occasion to buy a bouquet, but many people don’t know the environmental and social impact of the gift they are giving. The cut flower industry that provides so many beautiful bunches of flowers for consumers is about as natural as a plastics factory. While many companies try to compare the carbon footprint of greenhouse flowers vs. imported ones, other issues are overlooked. The perfection of a store-bought flower is achieved through the use of pesticides - some of which are banned in many countries - and irrigation. Water is diverted from the farms and villages that desperately need it, and used to feed luxury flowers that are unlikely to provide food for pollinating insects, let alone humans. Fortunately, there are plenty of ways to give and enjoy flowers, while giving Mother Nature a break, too. Buying locally grown, in season flowers is one way to do it. And if you can’t grow your own flowers, you can always make them. This week’s Poster Sketch features a collection of handmade flowers that are free of DDT, and will never wilt. Two of our favorite spring characters - the flower and the bird - could not get on without the insect. Bugs are often thought of by we humans as annoying, terrifying and even destructive enemies. The truth is that most of them are very important for keeping some of our favorite things thriving. Pollinators like bees, and decomposers like worms, make the flowers thrive. Every bug imaginable is food for some kind of bird, if they‘re unlucky enough to be on the menu. Because I’ve never been concerned with things like having the perfect lawn, flowerbed or garden trees, insects have never been my enemy. Apart from things that skitter in the night, like spiders, I would rather photograph a bug than squash it. I say, let them go about their business. 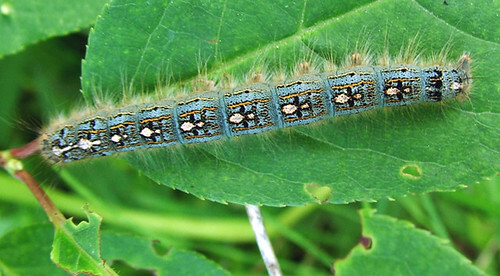 One of my favorite bugs from childhood is the caterpillar. Every few years or so we would be bombarded with black and yellowish tiger moth caterpillars. It was like having a yard full of tiny stuffed animals to play with. I also really enjoyed the bluish forest tent caterpillars, which drove everyone else crazy by eating everything in sight. I liked them because they have these sticky little feet that tickle when they crawl across the back of your hand, and a very interesting pattern of color along their backs. I wanted to recreate a caterpillar, so I started with 11/0 seed beads in light beige. This would be the base of my caterpillar, or his belly. The color is just like ivory, and I thought it was perfect for a new spring bug. Then I added 8/0 seed beads in light blue, marbled hematite, matte pumpkin orange, and light beige as well. I finished off the palette with some matte black magatamas for little insect feet. When working on my Dandelion Bangle, I had wondered how it would look when using drops along the outer edge of the right angle weave tube. Making a caterpillar was the perfect opportunity to experiment with the extra texture. The magatamas make wonderful ‘feet’ along the edge of the beadwork, and stitching around them was easy. 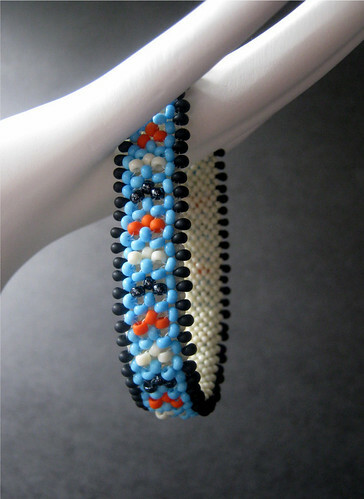 I used the beige, black and orange beads to make a buggy pattern on the outer face of the bangle. It does remind me of all the caterpillars I collected as a kid. Although I know that these tiny bugs can do a lot of harm, I can’t help thinking that there would be fewer caterpillars if there were more birds to eat them. Is there a perfect bead weaving stitch for necklaces? As with most beading skills, a perfect necklace technique is a matter of preference. Some common criteria would be adaptability - a technique that can use many different types of beads, and support different types of embellishment is sure to rise above the rest. Whenever I have an idea for a great beadwoven pendant, or just want to use a new focal bead, St. Petersburg chain is often the stitch that I think of first. It’s relatively easy to stitch up, it works with any color or size of seed bead, and there are lots of fun ways to make it more interesting. Unlike a lot of other chain stitches, St. Petersburg can be increased, and adding a second layer is easy to do once you know the basic steps. Start by creating a single chain. 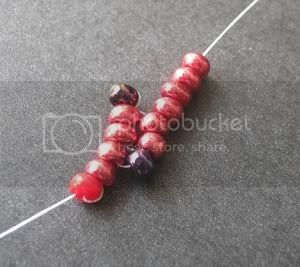 Attach a stop bead to a comfortable length of thread, and pick up 6 seed beads (Color A). 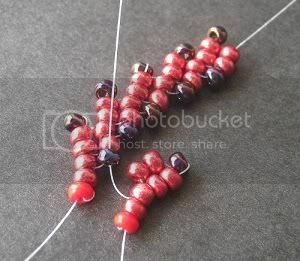 Slide these down to the stop bead, then stitch back up through the 3rd and 4th beads again. Pull tight until the last two beads are snug against the middle two. If the first 2 beads have come loose, just snug up the stop bead. 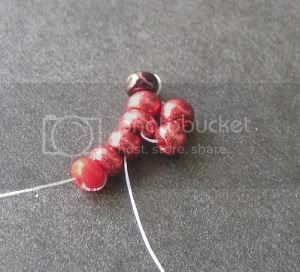 Next, pick up one seed bead (Color B), and stitch back down through beads 4, 3 and 2 from the previous steps. 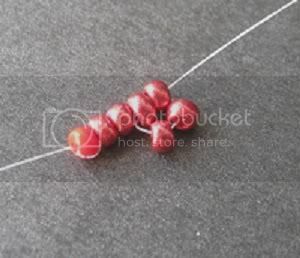 Pull the thread snug, and pick up one color B seed bead. Stitch up through the two separate A beads (5 and 6) and pull tight. Pick up four A seed beads, and slide them down to the beadwork. Stitch up through the first two, and pull tight, making sure the new beads are snug against the beadwork. Add the B seed beads as before. Continue with the technique, until the chain reaches the desired length. With a new thread, start a second chain as before. Instead of adding the second, lower Color B, stitch up through the first B from the other chain. Continue through the two Color A beads from the new chain, and resume stitching, sharing the center B’s along the chains. There are lots of ways to vary the look of a double St. Petersburg chain, such as using different sizes for the shared beads. You can also continue adding more chains, linking them together by the B beads to create flat beadwork with a triangular pattern. To create my Easter inspired Zig-Zag ring, I used separate colors for each row, and connected the 3 chains together at the ends. For another fun St. Petersburg variation, you can add scalloped fringe to a finished chain. 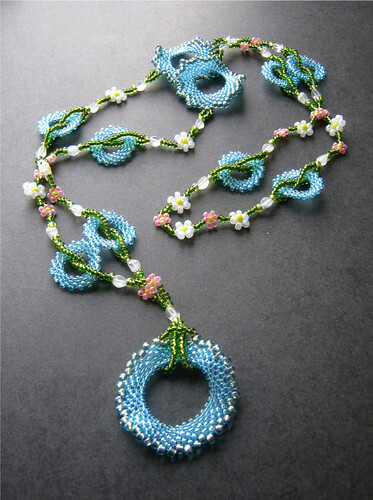 For a full project tutorial, see my Desert Flower Necklace on the Auntie’s Beads Blog. There’s something incredibly peaceful, even uplifting, about waking up to see a handful of robins grazing for bugs on the back lawn. Hearing the cheerful peep-peep of finches as they flit about on their tiny tasks is another wonderful way to start a day. The sudden appearance of birds is one of the things that makes spring such a magical time of year. One day you’re wondering if you’ll ever see color again, and the next day you’re eager to buy some bird seed and make a few new friends. This week’s Poster Sketch is dedicated to the return of our favorite birds, home from their yearly vacation and ready to charm us with their songs and antics. As beautiful as Spring can be, it is also a curious time of year when it comes to weather. In most climates, Spring is full of ups and downs. The sun is a little brighter than the previous winter months, but the wind can be cold, and the rain can by heavy. In Spring, something always seems to be blowing by on the breeze. 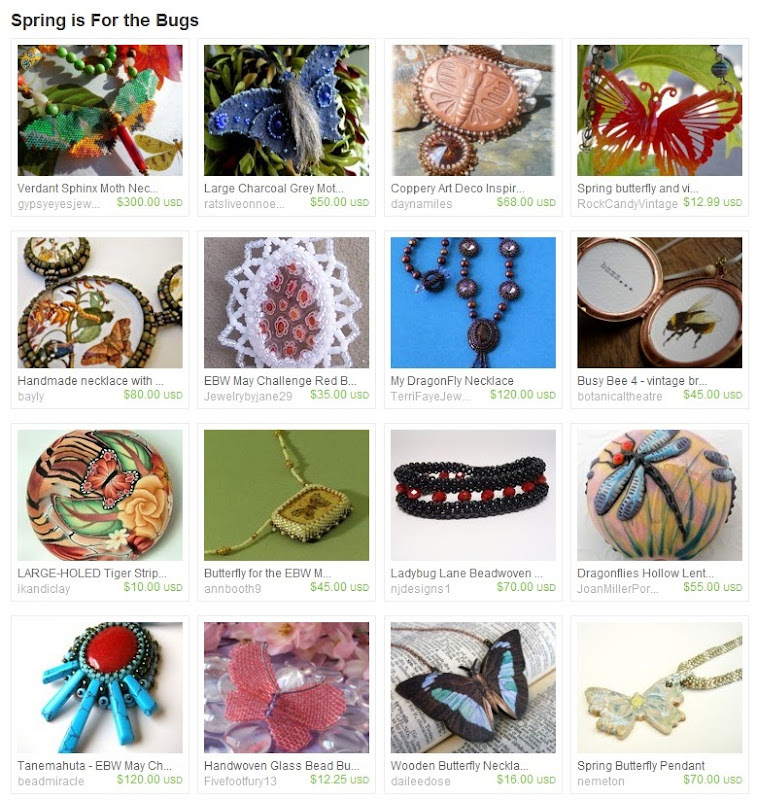 The April Etsy BeadWeavers Challenge theme was chosen by Laura of Lauralia as a tribute to this breezy time of year. EBW Team members were asked to create a piece that is as "bright, delicate and gentle as the first warm breezes of spring". 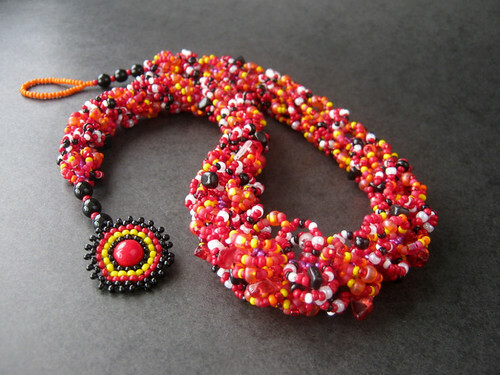 This theme was sure to inspire an amazing variety of beaded works. Everyone’s interpretation could be a unique take on what’s happening right outside the window. When I sat down to work out a design for the “Light as a Breeze” challenge, I closed my eyes and tried to envision what that phrase meant to me. No matter how many times I looked for inspiration, I kept coming back to an image of cherry blossom petals blowing lazily over a grassy field. 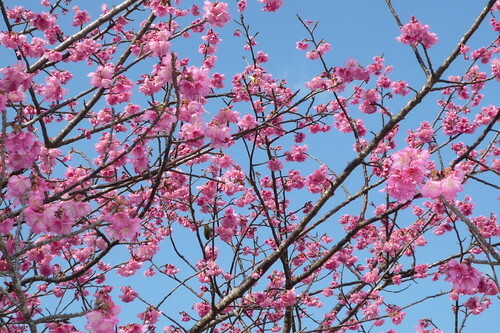 I could see the silhouette of a cherry tree as well, dark against a pure blue sky. I couldn’t let go of the image of cherry blossoms, so I finally gave in and decided to design around them. I can’t say exactly why, but I wasn’t completely satisfied with the fruit blossom theme of my design. I wanted to add an extra element of lightness, without doing something too minimalist. Eventually I decided to bring out an old technique - the woven peyote ring pendant that I had made in tribute to Julia Gerlach’s shell donut necklace. I love the look of the finished technique, but the process is long and agonizing, so I had never gone back to it before. After what seems like days of making little peyote rings comes the task of trying to string and weave and braid, while switching back and forth between one and two needles. It’s exhausting! Still, I knew that the technique was just right for this project, so I went to work. I first selected some pretty pink Ceylon 11/0 seed beads, with lustered yellow beads for centers. I decided to add some apple blossoms as well, with opaque yellow and Ceylon pearl 8/0 seed beads. For grass, I grabbed my favorite copper-lined green seed beads. For the sky, I selected aqua blue beads in 3 sizes, then finished the palette off with some pretty Czech pinch bicones. This necklace was much easier to create than the original, and not only because I was already familiar with the pattern of weaving the rings into the chain. The daisy stitches along the necklace keep all of the previously strung beads in place, making it much easier to work the two threads at once. I also had a good supply of English beading needles on hand this time around, which have made all kinds of beadwork more enjoyable. As often happens, it wasn’t until the piece was coming together that I saw how well the colors worked together. 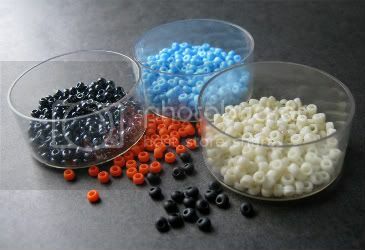 In the packages, the beads don’t speak quite as loudly as they do when they’ve taken shape. I love the way the coppery green and aqua blue look against one another. They have a jewel-like quality that is somehow soothing, just like a warm Spring breeze. Voting for the "Light as a Breeze" challenge opens April 9th. You can view all of the EBW member entries, and vote for your favorite until April 15th. Visit the Etsy BeadWeavers Team blog to see all of the breezy designs! So many of the designs that we create are inspired by our mood. When the sun is shining and the birds are chirping, the cheerfulness that occurs with the end of winter can inspire some amazing beadwork. With nature’s best features becoming brighter each day, some of the most obvious themes to use now are flowers, birds, and insects. 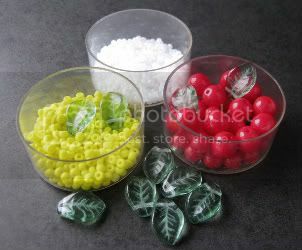 Shaped glass beads are wonderful for helping to realize spring inspirations. Items like leaf beads can turn an otherwise ordinary necklace into a woodsy masterpiece. Flower beads can turn a simple earring design into the perfect daytime accessory. The beads pictured here are just a few example of bead shapes that are prefect for spring. 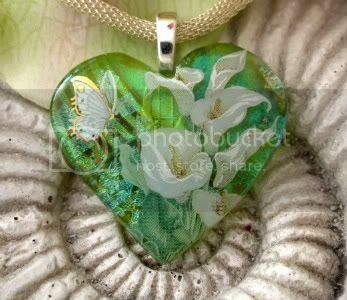 There are Czech glass clam shells, CRYSTALLIZED™ - Swarovski butterflies, wavy Czech glass leaves, vintage glass leaves, and a charming lampwork turtle by Suzoom. Happy Spring, and happy beading! Sometimes, the best part of spring is the anticipation of summer. There are hints everywhere of what is soon to come, and some of the most beautiful of these hints are the fruit blossoms. At this very moment, cherry trees are covered in pink coats, which will soon blanket our streets with sweet confetti as the trees prepare their fruits. When we see these little flowers appear, it’s a sign that summer isn’t far behind. I’m a big sucker for strawberries. Although I occasionally treat myself to the monstrous Mexico-grown berries that are always in stock, I much prefer the natural perfection of a garden strawberry. Like most seasonal treats, they are even more delicious because they’re only around for a short time every year. 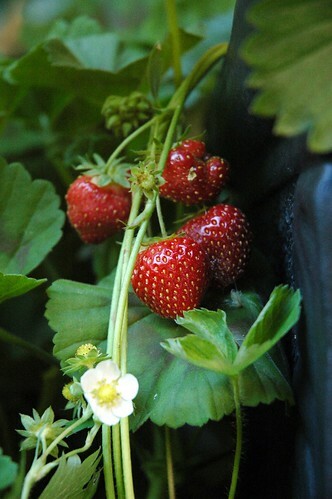 When spring finally comes along, flowers and blossoms remind me that strawberries are on the way, too. To use beads to capture the excitement of budding strawberry plants, I started with some red Czech glass druks in 4, 6 and 8mm sizes, and matched them with some transparent red 15/0 seed beads. The cherry red color has that "Wow!" quality that is perfect for a fruity design. To create blossoms, leaves and accents, I collected yellow, Ceylon pearl and jade green seed beads in both 8/0 and 11/0 sizes. 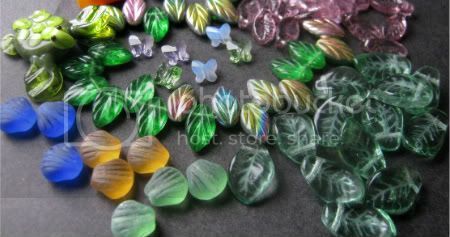 Then I topped the whole palette off with some wavy green Czech glass leaves. The very first time I tried pearl netting, I wanted to experiment with using different bead sizes to sculpt unique shapes. With only a vague idea of what I was doing, I set out to create a strawberry shape, using the red druks and 15/0’s, with yellow beads acting as the strawberry seeds. A part of me expected it to turn out looking ridiculous, so I was thrilled when even my toddler could tell that I had made a strawberry out of beads. 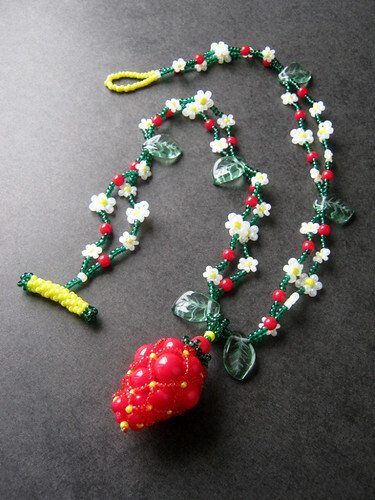 To make the necklace straps, I stitched a chain of white and yellow blossoms and small red druks, with regularly spaced glass leaves. After attaching the clasp, I added a second chain with a mirrored pattern, but shared the leaf beads. I really love the look of all four colors together. Although they could all be seen together in a holiday motif, here they remind me of vintage kitchen accessories, like canning labels, pantry shelf liners, or tablecloths. This alone could be a great reminder of summer, especially for anyone who spent a lot of vacations at Grandma’s house. I would like to thank Artbeads.com for providing the Czech glass beads used in this piece. Inspirational Beading has not received paid compensation for including Artbeads.com products or reviews in this blog post. I have shared my honest opinions about the products used in this design.